I have a new to me brand to share with you today. I came across Heather's Hues when it was posted in FB group about a month ago. I was in bed getting ready to go to sleep and I checked my FB and some of her Halloween colors popped up. It was one of the very rare instances where something got me out of bed to buy! I purchased two colors from that collection and I have one of those to show you today. 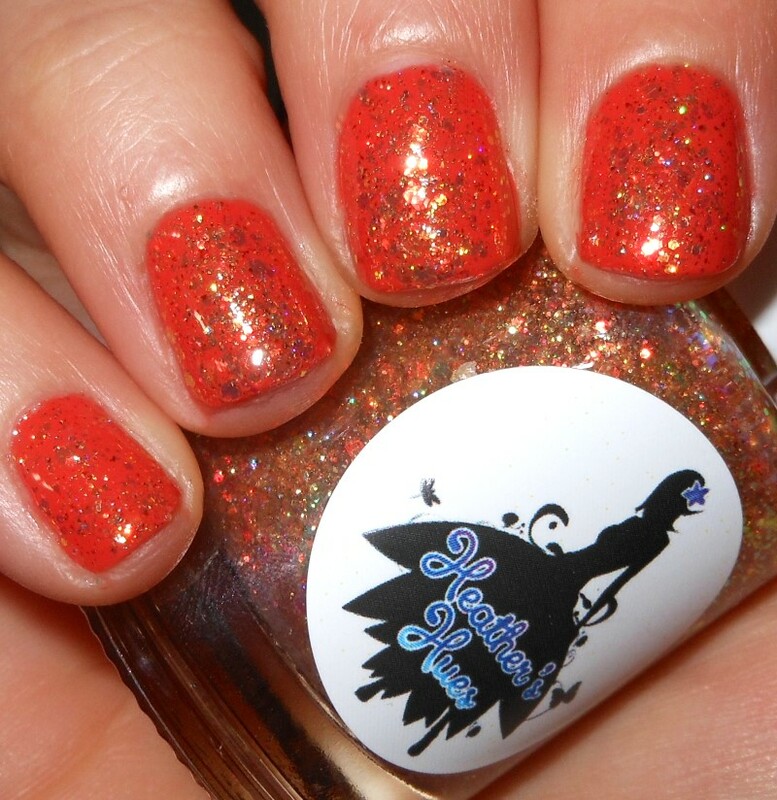 Halloween Magic is clear base packed with iridescent chameleon glitters that shift from green to red to orange to yellow, copper holo microglitters, and bronze and gold microflakes. Color: I love iridescent glitter and it's not really visited much in nail polish lately. I love the dimension of this polish with microglitter and flakes. I like the autumn color scheme of this glitter too. Formula: Easy to use formula. I used one coat over a base above. This is buildable, but I found it looked better layered in my case. Price: This is $9.50 for a 15ml bottle or $5.75 for a 7.5ml on Heather's Hues etsy site. Overall: This is a gorgeous iridescent glitter. 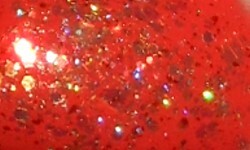 I love the colors of the all the glitters and elements that go into this polish. It gives it interest and makes it unique. I also love that it's iridescent glitter which isn't something I see a lot in nail polish anymore.